Christina is an associate in the Commercial Property team at Ward Hadaway, based in the Leeds office. 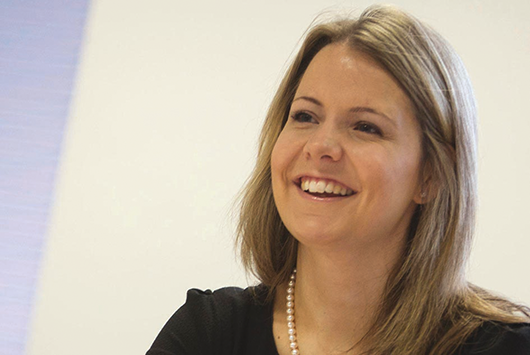 Since qualifying as a solicitor in 2008, she has acted for a wide range of commercial property clients including property developers, commercial lenders and national retail operators. Christina is part of the team advising in relation to the Spinningfields development in Manchester and has advised on many of the retail lettings there. She has also been involved with a complex sale and subsequent leaseback of two of the development sites at Spinningfields. She acts on behalf of both landlords and tenants in the negotiation and settlement of leases including advising and negotiating lease assignments, surrenders and renewals. In addition to advising on landlord and tenant matters, Christina also advises clients in relation to both freehold and leasehold disposals and acquisitions and has assisted most recently with the acquisition of the 1.2 million sq ft New Dock mixed-use development site in Leeds and the disposal of Tower 12, a 75,000 sq ft office and retail block in Manchester, to CBRE Global Investors. Christina also advises commercial lenders on the property aspects of secured lending and refinance transactions.